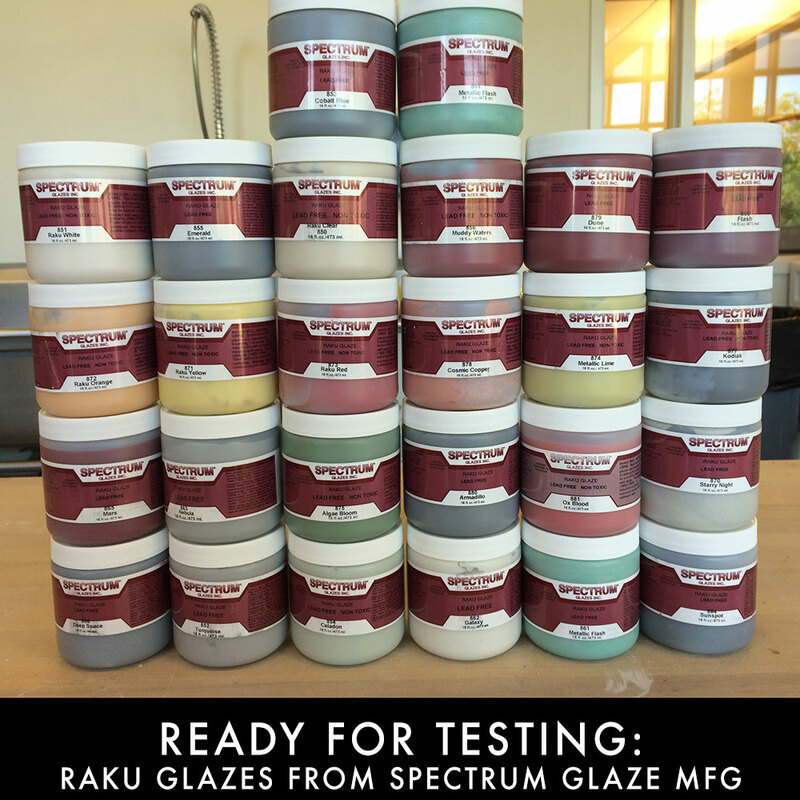 A shipment of one pint of each raku glaze from Spectrum Glaze Mfg. arrived late last week. In addition to the handful of colors I already use (red, orange, yellow, celadon, emerald, electric lime, and cobalt blue), a new color or two might be joining my palette. I will also be creating test tiles of each of the colors that will be photographed for Spectrum to use in their product literature and on their website (and to share with their glaze dealers, like Bracker’s Good Earth Clays, who helped to arrange this collaboration for me).